Spc. 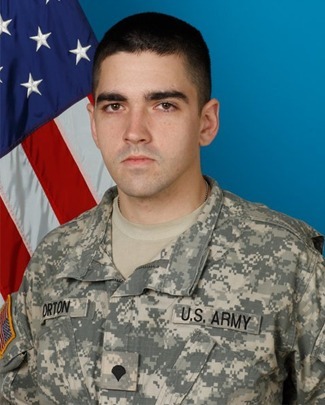 Christopher D. Horton, 26, of Collinsville, was killed Friday Sept. 9, 2011, in Afghanistan, along with two other members of Oklahoma's 45th Infantry Brigade of the Oklahoma National Guard. 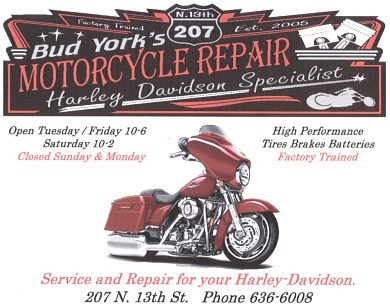 (According to the Sunday 9/11/2011 Tulsa World). (Additional info on Freedom Remembered) This was Horton's first deployment after enlisting in 2008 in the Oklahoma Guard. He was killed by small arms fire in Paktia, Afghanistan Sept. 9th. Specialist Christopher David Horton, 26, of Collinsville, Oklahoma was a sniper killed in action on September 9, 2011 while serving in Afghanistan with the Oklahoma Army National Guard's 45th Infantry Brigade Combat Team.He was killed when his unit was attacked with small arms fire in Zormat, Paktia Province. Christopher was born on October 1, 1984 in Tulsa, Oklahoma to David and Cherie Horton. He has two siblings, a brother, Nicholas, and a sister, Tenley. He was married to his wife Jane Horton of Cleveland, Ohio whom he met while attending The Kings College in New York City. Before enlisting in the Oklahoma Army National Guard in 2008, Christopher graduated from the Missouri Military Academy in Mexico, Missouri. Chris was an exceptional cadet during his six years at Missouri Military Academy in every area. Academically, he was on the honor roll, earning the Academic Fourragere. He was the 2nd Platoon Leader his senior year, as well as captain of the rifle team. During his time with the Oklahoma National Guard, He was trained to be an infantryman, was SWAT certified, and was sniper qualified, graduating at the top of his class. Some of his extensive marksman awards include: The Gus Hadwiger Award in 2009, 1st place novice pistol in the Oklahoma National Guard Sergeant Majors match 2009, 1st place novice pistol in the Governors Twenty Matches in 2009, 2nd place novice rifle in the Oklahoma National Guard Sergeant Majors Match in 2009, 2nd place in the Old Fort Shootout in the Unclassified Production Division 2009, 2nd place pistol in The State of Oklahoma Governors Twenty 2009, Oklahoma State IDPA Championship High Military 2008 and 2009, 3rd place in the Carolina Cup Enhanced Service Pistol Sharpshooter in 2008 as well as many others. Chris worked on many political campaigns including K.T. McFarlands 2006 Senate Campaign, Mayor Michael Bloombergs 2005 re-election campaign, President Bushs 2004 election campaign, and Governor Romneys 2008 Presidential primary. Chris also was a professional sponsored shooter through United States Shooting Academy in Owasso, Oklahoma, and was a business owner as well as a volunteer Police officer. Christopher was an accomplished competitive and recreational shooter. Every opportunity he had, Christopher fished both ocean and freshwaters. He loved fishing for all species of fish. Chris was both passionate and dedicated to politics and conservative causes. He also worked on many campaigns and was extremely patriotic and passionate about America and the freedoms we love and enjoy. Chris had a love for baseball and had aspirations of someday trying out for the minors. Christopher's parents (David and Cherie Horton above), his wife (Jane below), and several other friends and family members honored his memory at the funeral service at the First United Methodist Church in Tulsa. Lt. Governor Todd Lamb read a proclamation from the Oklahoma Legislature honoring Christopher Horton's service to his state and nation. A sample of earlier Collinsville war deaths.